It is my great pleasure to announce the release of Conversioner’s first mobile optimization guide. A recent study by Millward Brown showed that in average, consumers use 2.6 devices online to convert (tweet this). This stat demonstrates the importance of understanding user behavior and emotions- why do consumers use different devices to convert? because different devices serve for different usages – Creating a mobile responsive site isn’t enough anymore. It is vital to start creating different user journeys for each device and audience. Mobile optimization is the one area that has changed significantly over the last few years and will continue doing so throughout the years. What has been common know ledge or obvious tactics to convert mobile visitors into customers is slowly changing and proving to be less and less beneficial. It is no longer enough to simply make your desktop website mobile responsive. According to statistics in Monetate’s Q1 2014 Ecommerce Quarterly, in the first quarter of 2014, 11.6% of website visits were made from a smartphone. (tweet this) That’s an increase of 8.72% from the year before, indicating a continuing upward trend for mobile web browsing. 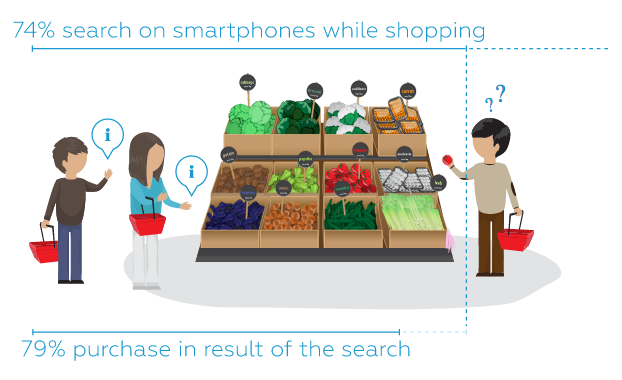 Further more, According to Forbes, 74% of people use their mobile phone to help them while shopping, with 79% making a purchase as a result of that search. Mobile optimization has never been more important, it’s time to lay down the foundations. What is conversion optimization? This is where it all begins. If you’re just starting out with optimizing your landing pages, pricing pages, mobile pages, check out process or any other part of your funnel give this short chapter a look.Understand the basics of conversion optimization, what doing conversion optimization really means and where to start. This chapter will arm you with all the crucial numbers and stats you should know. A look at these numbers will lead you into understanding the importance of mobile optimization, mobile user behavior and expectations. Don’t forget to share these stats with your team to get them on board. Chapter 3: What is Mobile Conversion Optimization? We’re hoping that by this chapter we’ll be preaching to choir. Assuming that a website that looks nice and functions well on a large screen will also do so on a smartphone is a glaring oversight that can lead to the loss of significant revenue. 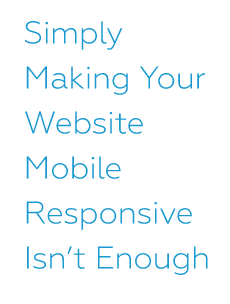 In this short chapter – understand the basics of mobile conversion optimization. There are 8 basic differences between mobile and desktop optimization, this will be the chapter you discover them and start getting a few crucial tips for immediate uplift on your mobile conversions. Okay, enough with the theory, time to get to work. Take a deep dive into your next steps in mobile conversion optimization – where to start, what metrics to follow, and the 3 most important elements you need to be tracking for mobile optimization. Follow these metrics closely to understand your audience better, track your results better and know where to start optimizing. Once you’ve figured out what your mobile visitors are doing and understood the metrics, it is time to start optimizing. There are a few quick tips that require designing and developing for quick higher conversions on mobile. Whether you’re optimizing for purchases, email lists or signups, these tips can take your mobile pages to the next level. This chapter includes tips, and hacks to guarantee mobile conversions. The biggest question the will keep coming up while planning your mobile optimization strategy is content. What content should my mobile site hold? It is the bsics of any good conversion strategy and it will determine the impact you get on your mobile site. As established in previous chapters, this chapter will emphasis the importance of creating different journeys per device and how to do so. Now that you have your mobile strategy ready and your optimized versions ready to be launched, it’s time to start testing for conversions. This chapter will cover the best ways to run mobile conversion tests and feature an interesting case study which increased revenues by over 500%. Incredible article , a must read for any marketer and website owner . It’s great to get not only the tools , but also the help in figuring out how best to use the tools for your purpose. Talia , you have an ability to distill complex ideas into simple truths .